In 2013, Dr John Yovich was appointed Adjunct Clinical Professor, School of Biomedical Sciences in the Faculty of Health Sciences at Curtin University, Western Australia. Professor Yovich’s research interest in all aspects of Infertility Management commenced at the Royal Free Hospital, London in 1976. His return to Western Australia in 1980 resulted in the establishment of PIVET Medical Centre in 1981. From its inception, PIVET has been very active in the accurate storage of its data and publishing the outcomes of all its work, including the various treatments for both male and female factors. PIVET has always been in the upper echelon for pregnancy rates in all its programs and in recent times has been publishing outstanding results from an international perspective regarding blastocyst transfers in FET (frozen embryo transfer) cycles. PIVET was the first centre to introduce the vitrification method of cryopreservation and has an outstanding program for both egg and embryo freezing. PIVET has also pioneered the use of adjuvants such as Growth Hormone, DHEA (Dehydroepiandrosterone) and Melatonin with some outstanding pregnancy results in rather difficult poor prognosis cases. Current data analysis shows that Growth Hormone is particularly effective for those women who produced poor quality embryos with few available for cryopreservation. PIVET has formed an affiliation with Curtin University and co-shares a research fellowship, along with undertaking a range of laboratory-based research projects. This has included studies on granulosa cells from the developing ovarian follicles along with receptor studies on immature oocytes (those not usable by the patient). Many advances have emerged from these studies and are being published in journals for Reproductive Medicine. 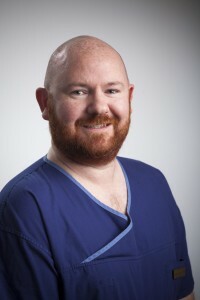 Dr Kevin Keane graduated from the Institute of Technology Tallaght, in Dublin with a BSc. in Bioanalytical Science (hons) in 2003, and a Ph.D. in Cell Biology in 2011. He has held a variety of positions in the pharmaceutical industry, working for Wyeth BioPharma and Pfizer (2003-2012). In 2012, he began postdoctoral training with Professor Philip Newsholme at Curtin University and published several research articles investigating the impact of nutritional factors on cell metabolism. In 2015, he became the first recipient of a joint Research Fellowship involving Curtin University’s School of Biomedical Science and PIVET Medical Centre. He is now responsible for PIVET’s research outputs and co-ordinates all research activity. Kevin’s research interests include, metabolism, endocrinology and cellular signalling and his objective is to provide a better understanding of the biological, lifestyle and environmental factors that affect fertility and IVF outcomes, so as to develop new treatments and technologies to help patients. Dr Sheena Regan was awarded her PhD (distinction), in 2016 from Curtin University in Reproductive Biology. She has held a variety of positions as a Nutritionist (B App Sci, Curtin University, 1985), as an Exercise Physiologist (MEd, University of Western Australia, 1988), and as an Educator, (Grad Dip Ed, Edith Cowan University, 2004). Sheena is currently a consultant Academic Scientist at PIVET Medical Centre. Her research, conducted in conjunction with PIVET Medical Centre (2011-2015) has resulted in international recognition of her contribution to the field of reproduction including two recent research publications in international journals. 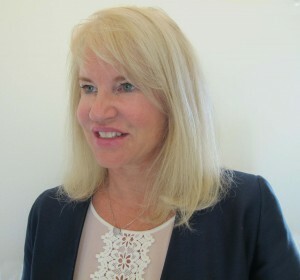 Her work has been presented at several national and international conferences, with further publications pending. She has a particular interest in the discovery of new innovative treatments to improve fertility, including investigating the cause of ovarian ageing, to enable greater control over family planning and the success rate of assisted reproduction. At PIVET, we pride ourselves on being able to conduct first class academic and clinical research, and we have a longstanding relationship with the School of Biomedical Science at Curtin University. 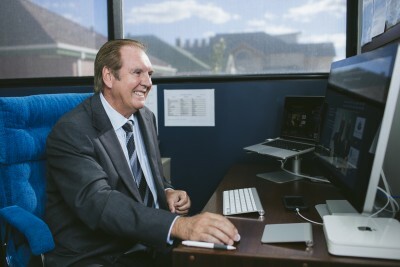 Since our establishment in 1981, we have been at the forefront of technological innovation in assisted reproductive techniques in Australia, and we have made several advancements to improve IVF success including development of new surgical techniques, generating new embryo culture methods, and producing better methods for patient stimulation. As with most disorders, nutrition, diet and lifestyle choices play a significant role in infertility. We are interested in studying various lifestyle factors and how they impact on health. We have recently published an investigation into the role of cigarette smoking, alcohol consumption & fruit and vegetable consumption on IVF outcomes, and our new project is focusing on the role of vitamin D and obesity in male and female fertility, at the whole body as well as the cellular level. At PIVET, we try our best to improve pregnancy and live birth chances for our patients no matter what their underlying diagnoses; noting that most cases have a multifactorial basis covering male and female factors. As IVF and ART are relatively new techniques, research has been conducted worldwide to determine if addition or supplementation with other medicines can help poorer-prognosis women fall pregnant. Our research team is investigating how androgens, including DHEA and other factors like Growth Hormone can affect IVF outcomes. Research in this area has still not fully solved the potential benefits of these agents, and our researchers continue to investigate this. To fully understand fertility problems in patients we are also refining our methods of diagnosis and laboratory practices. Some of our research has studied the relevance of markers of ovarian reserve other than AFC (antral follicle count), such as Anti Mullerian Hormone (AMH). We have also examined the relationship between mid-luteal progesterone levels and IVF success. Our laboratory is currently developing a non-destructive method to measure sperm quality, and we are exploring whether sperm derived from the testes or epididymis have a different influence on IVF outcomes. Together, these studies may improve male and female patient diagnosis, so that we can make better decisions regarding their personalised treatment. The quality of your embryo is a major contributing factor to successful IVF. Consequently, accurate and efficient methods to determine embryo and blastocyst quality are required. We apply one of the most effective grading systems and have published regarding its efficacy. We monitor various aspects of embryos including how they look (morphology), their biochemical properties (the proteins they have) and their metabolism (the type of nutrients they use). We have research projects in all of these areas to determine the importance of each in successful implantation. One of the more interesting projects is focusing on how the blastocoele expansion rate after thawing correlates with IVF outcomes. We are also interested in genetic screening of embryos, and we have recently provided commentary on this area. This is a rapidly developing area of IVF research and practice. Our research also includes social and ethical issues, which are extremely important for the mental health and wellbeing of patients. Within this research area, we examine current legislation regarding ART procedures, and we attempt to stimulate debate regarding the laws and practices in different Australian states, but also on the international stage. This ensures that we, and others involved in ART, constantly inspect our practices in rigorous accreditation processes to determine if they are appropriate and meet the requirements of our patients and our regulatory entities. Our IT Department is at the forefront of developing tools capable of collating large datasets of IVF outcomes, to determine what are the crucial factors that influence success. Central to this is the in-house production of a fully functional and interactive database that records various aspects of IVF treatment cycles from referral to all interactions leading to the take-home baby. This includes demographics, work-up of male and female aspects, assessment cycle criteria, interactions with clinical, laboratory, ultrasound and psycho-social counselling areas, as well as details of various operative procedures applied to both males and females. We have also developed interactive computer tablets for our andrology and embryology staff, which makes their assessments of biological samples more rapid and more accurate. This means that we generate lab results in real time, so that our physicians can make more informed decisions regarding your cycle by having your clinical results at their fingertips and removing completely the risk of transcribing errors. Our doctors, nurses, laboratory and research staff maintain their high level of skill and proficiency by actively participating in national and international research symposia, and they keep informed of the latest developments in IVF through reading of research articles. They all participate in quality assurance programs and such is audited annually by both NATA (National Australian Testing Authority), as well as RTAC (Reproductive Technology Accreditation Committee). 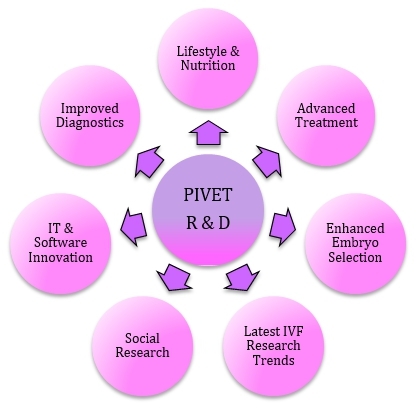 Emerging trends from the global IVF community inspire new and original research projects at PIVET. Research projects are continuously progressing and evolving, and when breakthroughs are made, we make the findings available to the research public through publication in open access journals. Some articles relating to our other recent areas of research can be found here. Firns S, Cruzat VF, Keane KN, Joesbury KA, Lee AH, Newsholme P & Yovich JL. The effect of cigarette smoking, alcohol consumption and fruit and vegetable consumption on IVF outcomes: a review and presentation of original data (2015). Reproductive Biology & Endocrinology, 13, 134. Keane KN, Hinchliffe PM, Namdar N, Conceicao JL, Newsholme P & Yovich JL. Novel dehydroepiandrosterone troche supplementation improves the serum androgen profile of women undergoing in vitro fertilization (2015). Drug Design Development & Therapy, 9, 5569-78. Yovich JL, Conceicao JL, Stanger JD, Hinchliffe PM, Keane KN. Mid-luteal serum progesterone concentrations govern implantation rates for cryopreserved embryo transfers conducted under hormone replacement. (2015). Reproductive BioMedicine Online, 31(2), 180-91. Yovich JL, Conceicao JL, Hinchliffe PM & Keane KN. Which blastocysts should be considered for genetic screening? (2015). Human Reproduction, 30(7), 1743-46. Yovich JL, Bahyah Mustafa K. Hinchliffe PM, Conceicao J & Keane KN. Higher b-HCG levels and higher birthweights ensue from single vitrified embryo transfers. (Submitted 2015). Reproductive BioMedicine Online. Yovich JL, Alsberg BA, Conceicao JL, Hinchliffe PM, & Keane KN. PIVET rFSH dosing algorithms for individualised controlled ovarian stimulation enables optimised pregnancy productivity rates and avoidance of ovarian hyperstimulation syndrome. (Submitted 2016). Drug Design Development & Therapy. Keane KN, Conceicao JL, Hinchliffe PM & Yovich JL. Growth Hormone Supplementation In Fresh IVF Cycles Improves Live Birth Rates by Decreasing Miscarriages in Poor Prognosis Patients (Submitted 2016). Reproductive Biology & Endocrinology. Yovich JL, Van Keppel M, Alsbjerg B & Keane K. Nurturing the best interests of the future child in ART; an Australian perspective. (Submitted 2016), Reproductive BioMedicine & Society. Wagle SR, Keane KN, Cruzat VF, Chaudhary N, Newsholme P & Yovich JL. The Potential Role of Anti-Mullerian Hormone as a Prognostic Indicator of Ovarian Reserve In Assisted Reproductive Technologies (In preparation 2016). Reproductive Biology & Endocrinology. Regan, SLP, McFarlane JR, O’Shea T, Andronicos N, Arfuso F, Dharmarajan A, Almahbobi G. Flow cytometric analysis of FSHR, BMPR1B, LHR and apoptosis in granulosa cells and ovulation rate in merino sheep. (2015) Reproduction 150, 151-163. Regan SLP, Knight P, Yovich J, Stanger J, Leung Y, Arfuso F, Dharmarajan A, Almahbobi G. Dysregulation of granulosal bone morphogenetic protein receptor 1B density is associated with reduced ovarian reserve and the age-related decline in human fertility. Mol Cell Endocrin; (2016) MCE-D-15-00548R1. Regan S, Stanger JD, McFarlane J, Yovich JL, Almahbobi G. Down-regulation of Bone Morphogenetic Protein Receptor (BMPR1B) protein expression by stimulation with IVF drugs in human and sheep. Joint meeting of Society for Reproductive Biology & Second World Congress on Reproductive Biology. Cairns QLD, October 2011. Regan S, Stanger JD, Yovich JL, Almahbobi G. Growth Hormone increases gonadotropin receptors in poor-prognosis patients. 28th Annual Meeting, European Society of Human Reproductive & Embryology (ESHRE). Istanbul, Turkey. July 2012. Human Reproduction 2012 Vol 27 (Suppl 2) ii302-ii337 p 525. Regan S, Stanger, JD, Yovich, JL, Almahbobi, G. Growth Hormone’s mode of action upregulates FSH, LH and BMP receptor expression on granulosa cells from IVF patients. Poster Presentation 43rd Society for Reproductive Biology. Gold Coast, 2012. Almahbobi G, Regan, S, Al-Samerria S, Ibtisam A, Yovich, JL, McFarlane J. Down-regulation of BMP action may alleviate the negative impact of age-related menopause. Australian Society for Medical Research (ASMR) National Scientific Conference, Ballarat, Victoria, November 2013. Conference Abstract Book article #39, Page 40. Almahbobi G, Weall B, Yovich JL. “A direct mechanism for the putative role of growth hormone improving oocyte quality from poor responder patients”. The 5th Congress of the Asia Pacific Initiative on Reproduction (ASPIRE), Brisbane, Australia, 4-6 April 2014 (in conjunction with FSA Annual Conference). Regan S, Stanger JD, Yovich JL, Arfuso F, Dharmarajan A, Almahbobi G. Expression profile of reproductive receptors during ageing of the human ovarian follicle. 2015, 46th Society for Reproductive Biology, Adelaide South Australia, 27565.